Philadelphia Weekend Weather & Storm Forecasts - Page 212 of 224 - Storm Forecasts & Other Things "up in the air". 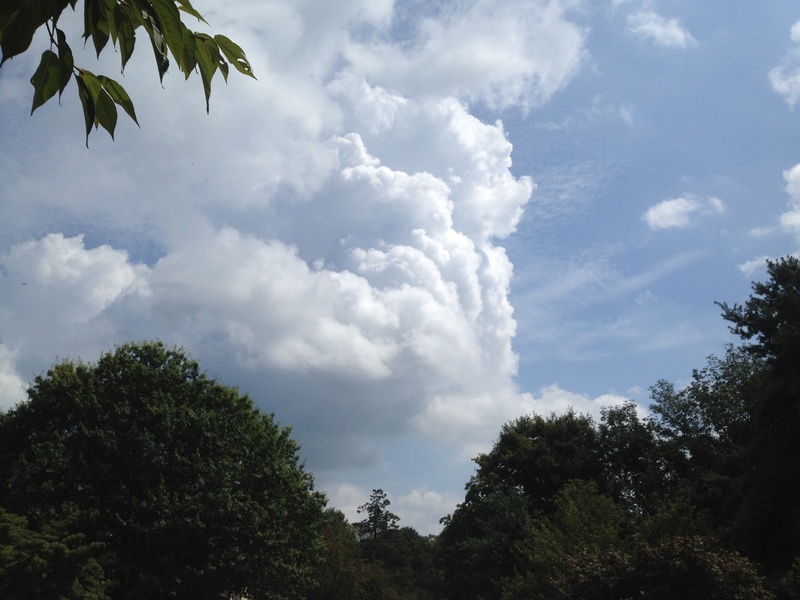 Cumulonimbus clouds build early yesterday afternoon. The sun should break through later this morning. Temps should rise into the high 80s with dewpoints near 69 or 70. A very summer-like day for the first day of September. A chance of widely scattered thunderstorms during the afternoon– the NAM based HRRR predicts these storms to be much more widely scattered and less organized than yesterday’s storms. Most areas may not see any rain today. Best chance of showers and thunderstorms today, Sunday, will be starting around 4 to 6 PM according to the GFS LAMP and between 6 and 8 PM according to the HRRR. High pressure slowly moves off the coast. A southeasterly flow of moisture on Saturday will herald the approach of a warm front that moves through Saturday night. Warm and very humid conditions return late Saturday night through Monday. A southwesterly flow of moisture will cause showers late Sunday through most of Monday, but the shower activity will be scattered. 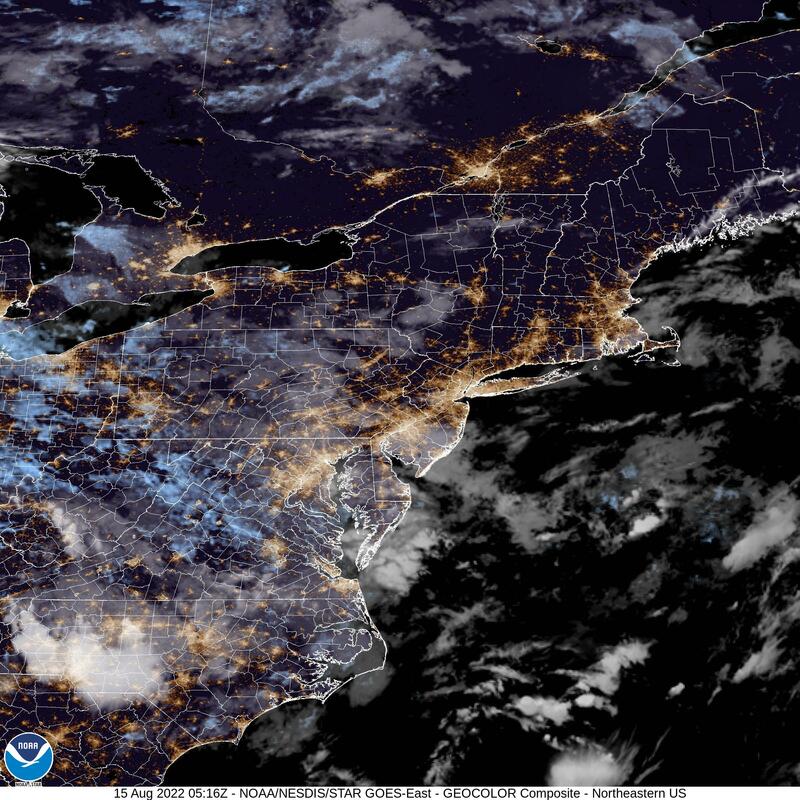 It will not be very wet this weekend, but clear blue skies will be in short supply– expect considerable cloudiness from late Saturday through most of Monday with warm and humid conditions. 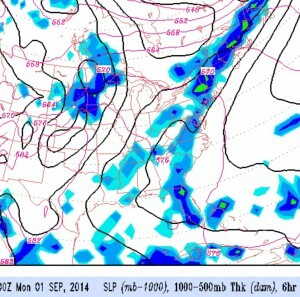 A chance of a shower is possible any time from Sunday afternoon through Monday.